Eurolines is the main international coach operator in Europe. It runs a regular coach service from the UK - London Victoria to Genoa - Piazza della Vittoria and the journey takes around 26 hours. They offer the very competitive fares with no hidden extras. Sea crossings, travel taxes and road tolls are all included in the price. If you are planning to explore Europe, then it is worth checking the Unlimited European Travel pass Eurolines offers as it gives you flexible, unlimited travel between 41 European cities. You have the choice of 15 or 30 days for the pass allowing you to travel at your own pace. 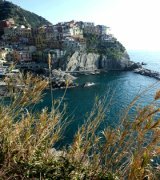 Liguria has an excellent public transport system and getting around by bus is often a convient choice when exploring the bigger towns in Liguria as well as hopping from town to town. 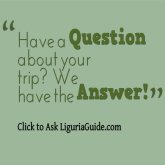 There are several transport companies that provide regular bus services around the Liguria provinces. Genoa's public transportation system is provided by Azienda Mobilità e Trasporti Spa (AMT) with 138 bus lines servicing the whole town. On the other hand Azienda Trasporti Provinciali S.p.A. (ATP) operates the local public transport network of the whole Province of Genoa including the territories of all 67 municipalities of the Province of Genoa as well as some municipalities in the provinces of La Spezia , Piacenza and Savona. Buses run by ATP for example connect Portofino with Santa Margherita and Rapallo. For further information on town routes and timetables visit http://www.atp-spa.it/cartina.php . 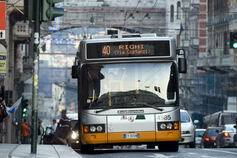 The bus lines in the province of La Spezia are maintained by ATC S.p.a. . For available ticket options go to : http://www.atclaspezia.it . There is lots of other useful information you can find there for planning your trip - from bus timetables between destinations to keeping up to date on change in services.